Is it possible to make, market and ship something that sustains your family, feels good to your heart and soul, and even changes the world? You can change the world with your craft. You can make a living doing this good work. However, a dream is just a dream until you start building and marketing it. I've worked with a number of purpose-based entrepreneurs to make their dreams a reality. And there is one indicator of success in nearly every case: momentum. Hitting the ground running and getting some quick wins early on is one of the most motivating feelings in the world. It fuels your dream and gives you hope. It shows you what is possible. And continuing to refine and build a business around small, frequent initiatives is one of the most powerful advantages a business can leverage. I call this process Momentum Marketing. It is designed to work with small teams or individual entrepreneurs who are looking to launch or grow a purpose-based business. This business can be your full-time endeavor. It can also be your side hustle. What matters for this program is that you are emotionally ready to take the steps to begin promoting and sharing your dream with the world. I am here to connect you to your purpose and assist you in building a life, a business and a community of service that actively feeds and supports you and your work. In this program, I use the same techniques I’ve shared with top agencies and business clients over my 20-plus years in the digital strategy and marketing field. Our sessions are a mix of coaching and hands-on work. Together, we will clarify your goals and build a plan to connect with your audience. You’ll acquire the skills and confidence you need to build and sustain your tribe. I work hard for my clients. When you hire me, you get one part consultant and one part coach. I am here to actively support you and encourage you to more fully embrace your calling and vocation. I also assist you in creating, measuring and optimizing your plan to build your community and find your tribe. Together, we will find YOUR way to embrace sales and marketing to fuel your creative efforts. Payment plans are available for both packages. Please note that this fee covers my time only, and does not include additional funds required to launch your business. "It is not an overstatement to say that Sean Howard's Momentum Marketing transformed our business. Until we started with Sean's approach of building, measuring and learning from digital marketing engines, we really didn't have a systematic approach to marketing suitable to today's digital realities. "We are a small but mighty group of consultants and practitioners who need to tell our story, sell and deliver complex work with our clients. We're passionate about our work, but really needed a strong coach and guide on the marketing front. And now, all of us have roles to play in feeding our marketing engines and ensuring a healthy customer journey and sales funnel. Sean's approach is for the team to learn by doing, rolling up our sleeves and getting the right amount of specialized support and advice we need to make us successful and have fun doing it. As a small but growing business, it's a perfect fit for us. Today, we have a number of powerful new tools and skills to grow our business in pursuit of our purpose. There's more work to do of course, but we're on the path and confident that we'll achieve our goals." "I was at my wit’s end with Patreon… until I talked to Sean. Now, I see everything in a new light, and I’m excited to create for and engage with my patrons." "Within the first day of implementing Sean’s suggestions, I gained several new patrons — at higher levels. I’m beside myself and I can’t wait to move forward with more of his advice!" 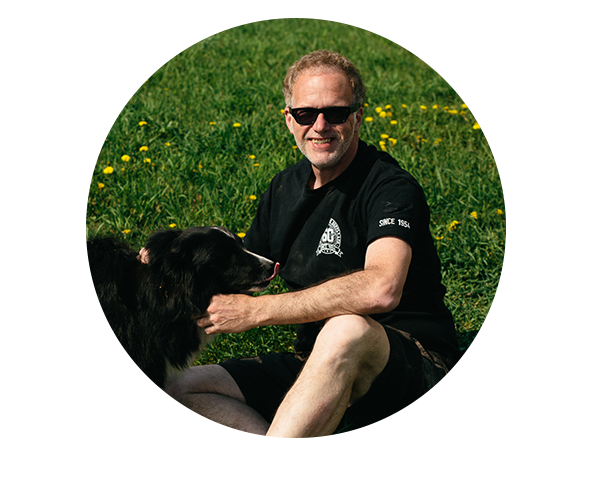 "When I was thinking about launching my product, Sean was the first person I told because the beginning of any new creative endeavour requires a steady, experienced and supportive hand to guide it. Having followed Sean through his own journey as an artist and entrepreneur, I knew that he would understand the fears and challenges I was facing. “When helping another give birth you not only need skill, but judgment too. Sean knew when to push, when to step back, and when to give me space to work on painting the idea that was so clear in my head onto the rolling canvas that is the world. “I knew that he wanted my idea to come to fruition as much as I did. I knew that because he did me the biggest favour of all and that was not holding back encouragement when I was unsure and candour when I was too sure. “I turned to Sean for assistance because I was looking for a way to improve my online presence and build attendance for my Krav Maga school. My students were signing up, on average, for an $80 monthly commitment and I wasn’t getting very many leads online. I know firsthand what it means to take a leap and follow your soul and heart’s calling. There’s no feeling like it. I also know how it can feel when, three months later, the bills are piling up and nothing is going as planned. Or six months later, when the product still hasn’t shipped. That’s why I am here to help. As a coach, I help you gain clarity and re-fuel your energy and commitment. As a consultant, I dive in with you to develop a clear plan that moves you forward. Our sessions dance between feeding your community, generating leads, checking your conversions, and setting clear goals that pull you out of the weeds. I bring my senior marketing expertise, Master Practitioner-level Neuro-Linguistic Programming (NLP) skills, open facilitation experience, Theory U deep-listening frameworks, and much more to this program. My clients are driven to create something that will make the world better for all of us. They are coming from a place of kindness and abundance in all its fantastic forms, not just monetary. They yearn to invest in a community that will support their initiatives for many years to come. I look forward to helping you launch and build the tribe that will support you. Please don’t hesitate to email me with any questions you may have. The best time to start anything is six months ago. The second best time is always today. I am currently fully booked for 2019. Please join my newsletter to be the first to know when I launch future coaching slots. You will also get a free copy of my book.